- Setting the Context to Empty Context. ('Primary') to another pipeline configuration in the project. Your existing configuration will be backed up. installing, you may be prompted to specified values for these. of your installed apps and engines. The special keyword ALL can be used to denote all items in a category. Localize complete! 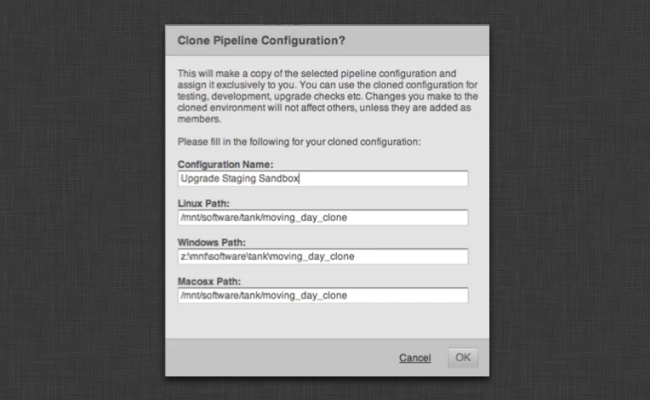 This pipeline configuration now has an independent API. no other configurations or projects will be affected. Welcome to the Shotgun Pipeline Toolkit Project Setup! Which configuration would you like to associate with this project? type in its path when prompted below. used by default if you just hit enter below. to this config and it will be used for the new project. clone this repository and base the config on its content. git commit -am "initial commit of our studio config!" # normally, we would have the entire set of configuration parameters at this point. 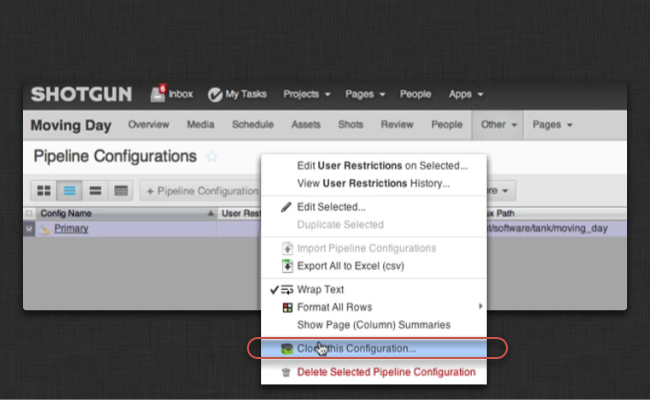 # now we can include an include containing overrides, for example based on project type. # the same, the vfx_apps definition will be used.